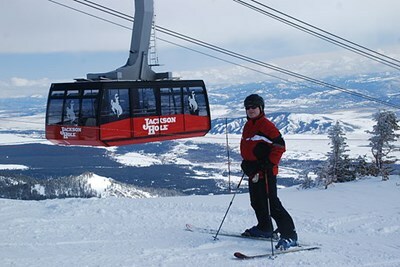 The Jackson Hole Mountain Resort is a ski resort at Teton Village, Wyoming. Located 12 miles (19 km) northwest of Jackson and due south of Grand Teton National Park in Teton County, it is named after the historically significant Jackson Hole valley. The region is served by the Jackson Hole Airport. This description uses material from the Wikipedia article on Jackson Hole Mountain Resort and is licensed under the Creative Commons Attribution-ShareAlike License (view authors).